It has happened. What was thought to be impossible has now come to reality. After Donald Trump’s third-in-a-row victory in the Nevada caucuses Tuesday, the confident predictions about his candidacy over the past eight months “have been disproven again and again—starting with the judgment that he wouldn’t run, that his outrageous statements would undermine his appeal, that voters would show up for the entertainment value of his rallies but not cast a ballot for him when it mattered,” says USA today. Now the question is no longer can Trump win— it’s can he be stopped? Like Berlusconi, Italy’s biggest TV tycoon, Trump “has leveraged his wealth, celebrity, and manipulation of the media […] into political prominence,” as Robert Tracinskiy—one of their many detractors—writes in The Federalist. Berlusconi’s political success largely benefited from the backwardness of the Italian Left—let’s not forget that the Democratic Party is made up mostly of former Communists, whose totalitarian tendencies are well known and, so to speak, encoded in its DNA—just as Trump might benefit from the Democrats’ march toward socialism. Both Berlusconi and Trump exploited voters’ rage at a discredited political establishment. In Italy, it was their own poor reputations in voters’ eyes that prevented established politicians, viewed as inept, corrupt, boring and uninterested in the concerns of ordinary Italians, from fending off Berlusconi’s challenge, as Rula Jebreal—a Palestinian foreign policy analyst and journalist with dual Israeli and Italian citizenship—puts it. Similarly, Trump has managed to tap into real anger and disillusionment with the American political class and a gridlocked political system, viewed as incapable of taking action to relieve the plight of middle class Americans, much less help the poor. Furthermore, Trump’s recent sexist attacks on female candidates and journalists—such as opponent Carly Fiorina and Fox News anchor Megyn Kelly—remind us of when Berlusconi dismissed opponents as “too ugly to be taken seriously,” or when he referred to the German Chancellor Angela Merkel using two derogatory terms in a telephone conversation with a newspaper editor. So far, however, those who have written about how much Trump and Berlusconi are similar have focused mostly on the negative aspects of their respective personalities and behaviors. Therefore their main contribution to the discussion was to warn public opinion about the absolute necessity of stopping the “populist insurrection” of Donald Trump. A bit too simplistic and one-sided, in my view. They don’t take into account (at least) two important considerations. Second, unlike what many seem to think, not everything Trump does and says is wrong, vulgar, clownesque, etc. 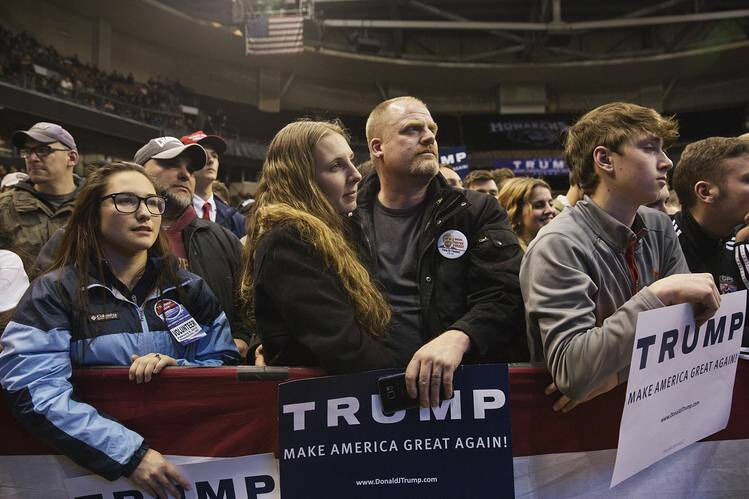 “Trumpism,” as Charles Murray puts it in this WSJ Saturday essay, “is an expression of the legitimate anger that many Americans feel about the course that the country has taken, and its appearance was predictable. It is the endgame of a process that has been going on for a half-century: America’s divestment of its historic national identity.” Believe me, this is not a partisan point of view but an intellectually honest overview of America and its society: definitely a must read for everyone to understand what is at stake in the next few months. 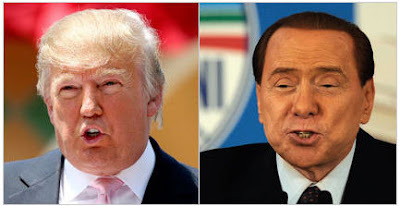 What I do agree with some critics of the “magical duo” is their warning that to dismiss Donald Trump as a joke, as many Italians did with Silvio Berlusconi early on, and many Americans continue to do with the New York tycoon, would be a terrible mistake in any case. On the other hand, apart from being unjust per se, obsessing over him would be yet another big mistake. By the way, from his own point of view Severgnini is perfectly right: “to obsess over him is exactly what the man wants. ‘You see?’ he can say. ‘They all gang up on me, those establishment types!’” Besides, this would be yet another similarity with the Berlusconi case.